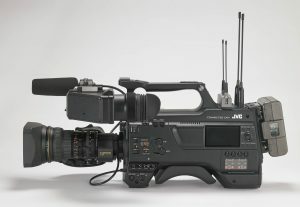 WAYNE, NJ (April 4, 2018) – JVC Professional Video, a division of JVCKENWOOD USA Corporation, today announced the GY-HC900 “CONNECTED CAM” broadcast camcorder, which features three 2/3-inch CMOS image sensors for full HD imagery, as well as enhanced connectivity for a complete news-over-IP workflow solution in the field. The camera is being demonstrated at the 2018 NAB Show (Booth C4315), which runs April 9-12 in Las Vegas, Nev. Equipped with an industry standard B4 lens mount and four-position optical filter, the GY-HC900 delivers excellent sensitivity (F12 at 60Hz, F13 at 50Hz in extended mode) and high 62dB signal-to-noise ratio (in standard mode). The advanced 2/3-inch CMOS sensors, each with 1920×1080 pixels, combine with an F1.4 prism to produce full HD images. The camera also offers an HDR mode for creative flexibility, as well as up to 120fps 1080p slow-motion recording. 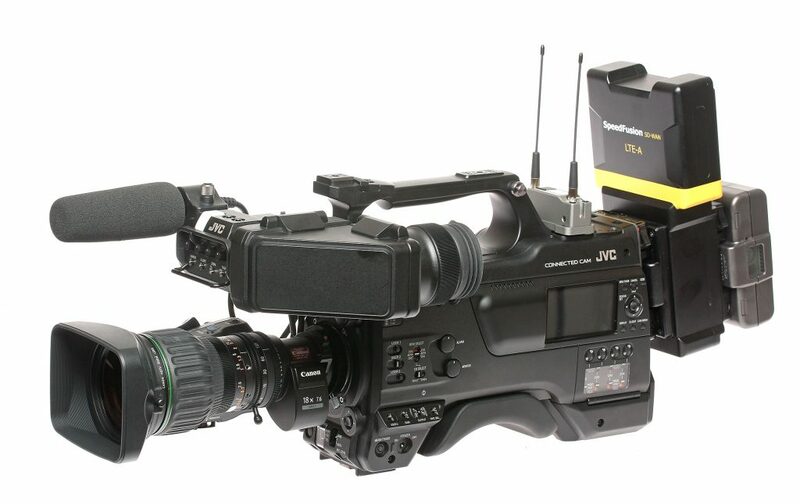 The GY-HC900 supports native recording of both MPEG-2 at up to 35 Mbps, which is widely used by broadcasters, and H.264 (.MOV), which provides production quality 10‑bit, 1080/60p 4:2:2 footage. Plus, the camcorder records in Sports Exchange Standard formats, so sports organizations can produce HD video with rich metadata that specifically addresses the workflow needs of sports production and video coaching applications.